River of Life Church (Rev. Richard Goad, Pastor) and daughter congregation, Passion Church (Rev. Steve Ely, Pastor) celebrated Passion Church’s 10th Anniversary in the morning service on August 27. Pastor Richard hosted the joint service, and Rev. Stacy Hilliard was the featured speaker. The morning was a Pentecostal celebration with powerful camp meeting preaching and the very evident presence of the Holy Spirit. 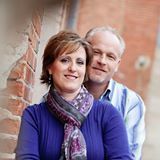 The idea of establishing a Heartland Conference church that features Pentecostal expression, on the northwest side of Oklahoma City, first blossomed in Pastor Steve’s heart in 2003. At the time it seemed to him like only a faint possibility. The dream did not die over the next four years of waiting. 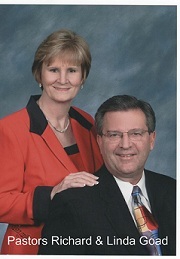 Pastor Steve served as youth pastor at River of Life and continued to pray and develop relationships. He also shared the dream with Pastor Richard, who signed on to support the vision. Pastor Richard and Pastor Steve understand well the church growth principle that the best way to win new people to Christ is to plant new churches. In addition, the surest opportunity to plant and establish successful new churches is for mother churches to be vitally involved in the effort. “God put together a team of individuals who were willing to pay the price to make the dream a reality,” Pastor Steve says. After much prayer and counsel, the budding Passion team gathered in January of 2007 and began laying plans to launch Passion Church. Passion Church’s first Sunday service was on August 26th, 2007. The congregation worshipped in an event center for the next six months. Then, Passion Church moved to a strip shopping center on NW Expressway in Oklahoma City. After meeting there for the next forty-two months, Passion Church moved into its current and permanent location at 3301 N. Council Road in Bethany, a municipality in metro Oklahoma City. Passion Church has developed into a vibrant, contemporary, casual church in Oklahoma City. Pastor Steve has trained his congregation to be passionate about such elements of the gospel message as “people, purpose, praise, Pentecost, preaching, and presence,” as well as knowing their “place” in the body of Christ. Passion Church has matured in these ten years into an anchor church in the HeartlandConference. Now the congregation is ready to plant its first daughter church (and River of Life’s first granddaughter church). Rev. 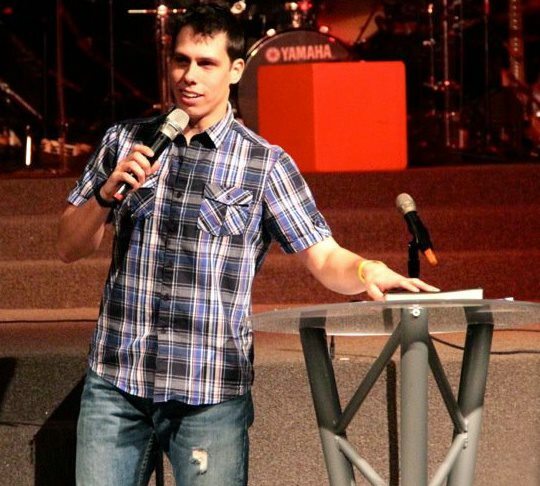 Woody Burpo, who has served most of these ten years as the youth pastor of Passion Church has been mentored by Pastor Steve, who believes Pastor Woody is ready to launch Passion Church of Yukon. The launch date is set for September 10th.